A fast growing migratory species of Mackerel, the King Mackerel have darker gray backs, transitioning to a silvery side and belly. Smaller fish may have spots on their side, but as the fish matures, those will disappear. What are other names for a King Mackerel? This fish is also commonly known by the name Kingfish, King, among others. 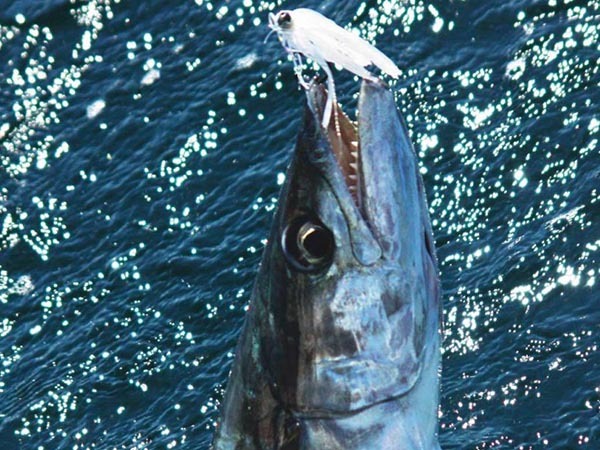 The average King Mackerel is anywhere from 9 to 45 lbs, but in the Northern Gulf, fish over 100 lbs have been observed. King Mackerels are known to be migratory, with some resident populations remaining in the northern Gulf of Mexico. Normally, they will move between Massachusetts to Brazil. King Mackerel live and frequent a variety of depths, however the main fishery exists in 40 to 150 feet of water. The larger King Mackerel are often found around mouths of inlets, habors, and in other inshore waters. These fish are opportunistic carnivores, feeling primarily on fish, squid, and shrimp. 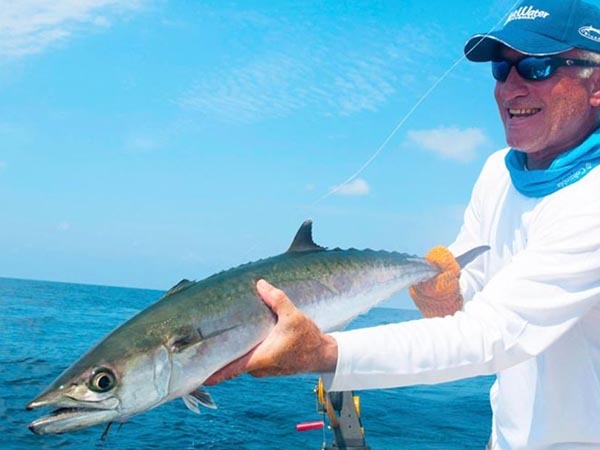 Are King Mackerel targeted by anglers? 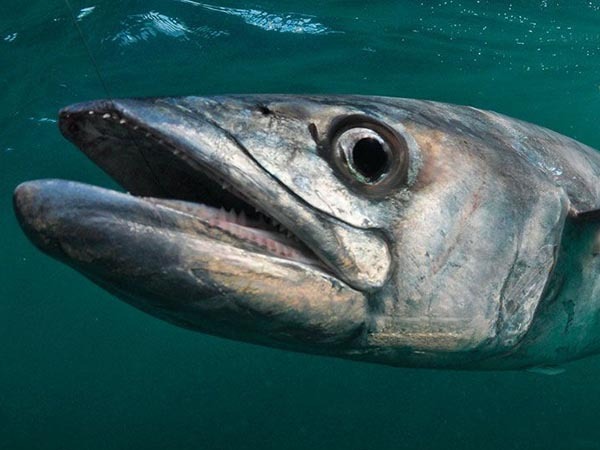 Known for their willingness to chase their prey, King Mackerel have been known to leap out of the water in pursuit. Action packed fights, long runs, and a willingness to chase down a fly make these a fun and worthwhile target while on the water.